I was very happy because Godzilla, one of the most famous movie monsters of all time, is returning to the cinema again! Godzilla is back and bigger than old Japanese Godzilla movie! I asked my family to join me watch this movie, Godzilla! Godzilla is one of the most recognizable symbols of Japanese popular culture worldwide. If you not sure what is Godzilla, learn the Godzilla's history from the Wikipedia; here. I sure that many kids hate if the monsters are destroying the earth so they get the Godzilla become HERO for the adults and kids? Godzilla stands taller than most skyscrapers, was made stronger by atomic bombs, can unleash that same atomic fire out of his maw, and is practically indestructible. 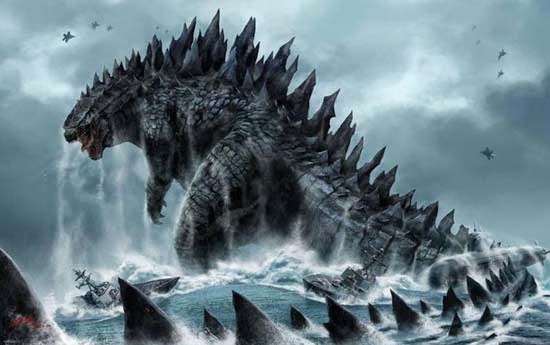 It also called "Gojira", it doesn't eat humans, it just sustain itself on radiation and an omnivorous diet. 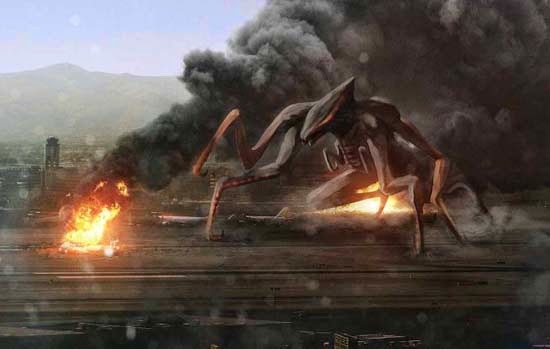 I imagined that this monsters attacked the tall buildings in the modern cityscape so it is very dangerous for us if one of some buildings fell down to earth! 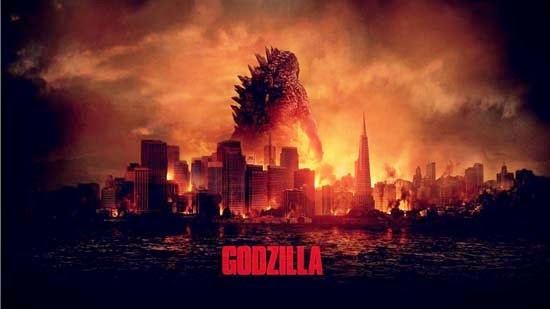 Wow, Godzilla can be the fire-breathing monster to kill the monsters when it have good chance! 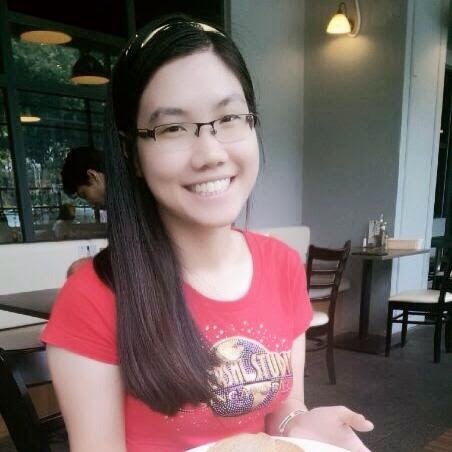 It give the lesson to advise us to not create our mistake to destroy our earth! It because the scary incident are we created a monster in the secret labs. The monsters used the nuclear bombs as their food and a failure to understand their true power that we got Godzilla to save our Earth. Funny, they created other part about family be together, but sometimes the couple be romantic! I think that it is not boring but, they also added that soldiers' action too! They did a great job like making more visual and amazing CGI, such as creating the monsters, more explosions around the city, the destruction to make us felt afraid and worry of our lives if it is true! Watch the trailer below; Cool Godzilla! 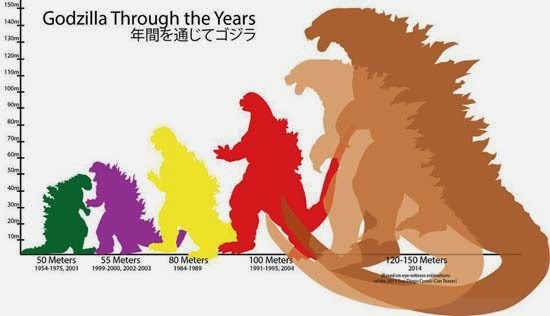 I surprised that they created the 2014 version of Godzilla will have an estimated height of 120-150 meters; as much as three times Godzilla's original height of 50 meters, 60 years ago! 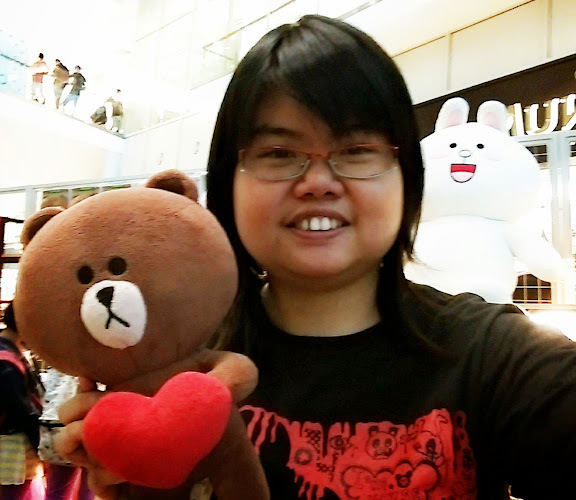 I felt this movie make us to learn about the monsters can scare us, make us feel weak and helpless, just like ants stepped by the monsters! It make us sympathetic to their tragic story and even cheer us up. 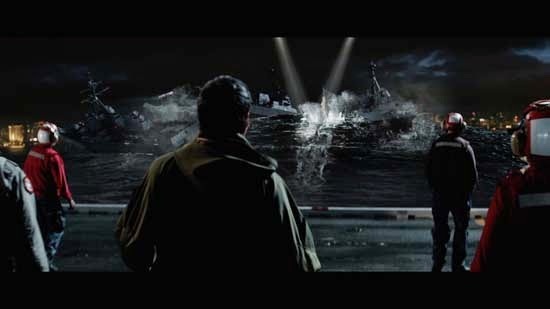 Godzilla is portrayed more as a disaster, like a tornado or hurricane, instead of an atomic bomb. It is clearly more powerful than us, able to rip our cities apart, but we learn to survive and grow stronger because of it.